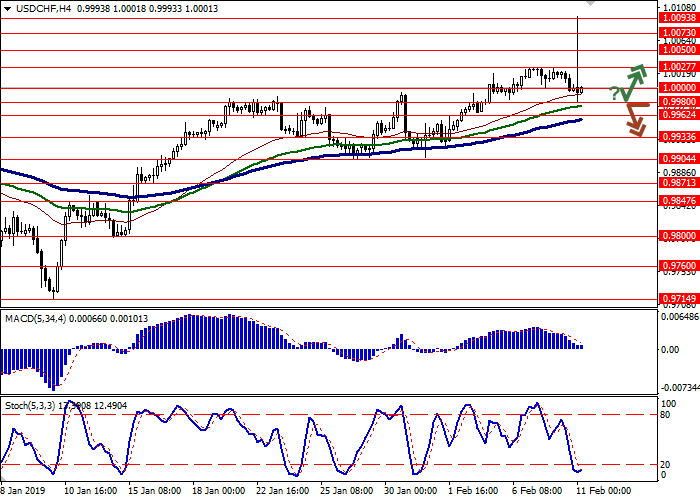 USD shows ambiguous trading against CHF, consolidating close to the psychological level of 1.0000. The positions of USD are supported by optimistic sentiments in the market, which have intensified after the announcement of the talks between the leaders of the USA and the PRC in Beijing at the end of the previous week. In turn, technical factors in the market are very powerful and investors are trying to lock in their profits, because they could not do it last week. Today the market does not expect the release of a large number of interesting statistics. The focus will be on the January data on consumer inflation in Switzerland. It is expected that prices may decline by 0.2% MoM and grow in annual terms by 0.6% YoY. In December 2018, the index showed an increase in annual terms of 0.7% YoY, but in monthly terms it decreased more actively: –0.3% MoM. Bollinger Bands in D1 chart show stable growth. The price range expands, freeing a path to new local highs for the "bulls". MACD is reversing downwards forming a new sell signal (located below the signal line). Stochastic is declining, pointing to the prospects for the development of a downward correction in the short/ultra-short term. To open short positions, it is necessary to wait for the additional trade signals to appear. Resistance levels: 1.0027, 1.0050, 1.0073, 1.0093. Support levels: 1.0000, 0.9980, 0.9962, 0.9933. 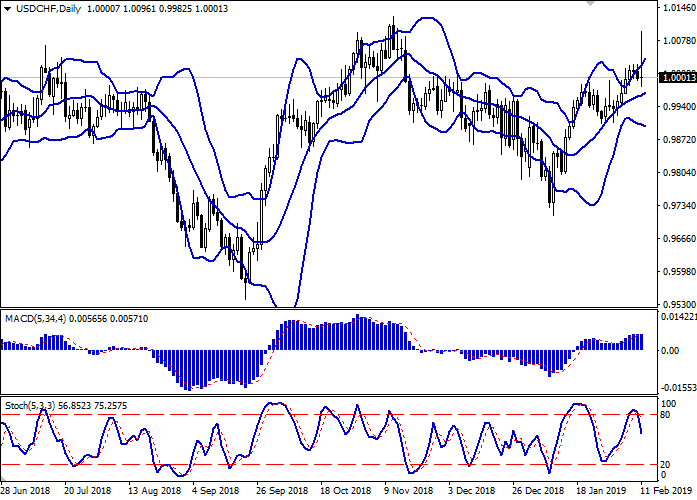 Long positions can be opened if the instrument reverses upwards from the current support levels followed by the breakout of 1.0020 or 1.0027. Take profit — 1.0073 or 1.0093. Stop loss — 1.0000. 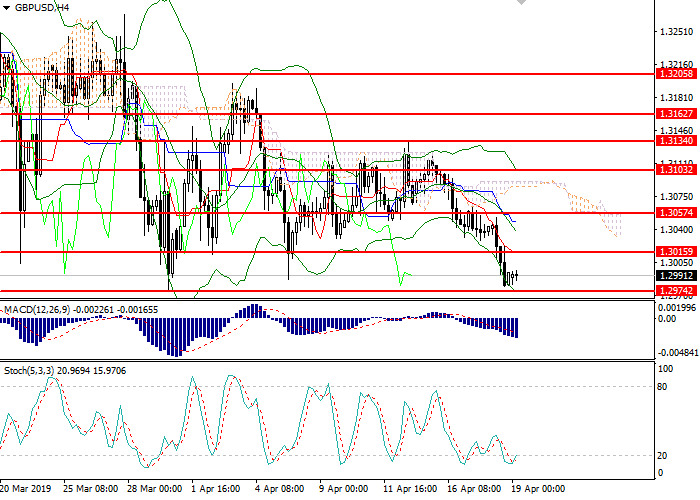 The breakdown of 0.9980 may serve as a signal to further sales with the target at 0.9904. Stop loss — 1.0010.